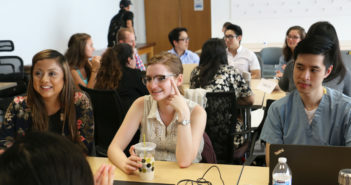 You are at:Home»Posts Tagged "Physical Therapy"
Students, postdoctoral fellows and faculty from Northwestern and beyond gathered at the eighth annual Movement and Rehabilitation Sciences Training Day to share scientific results and methods and to network with colleagues. 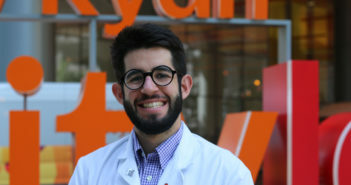 Kosta Nicolozakes, a MD/PhD student, is past president of the Medical Scientist Training Program Student Council and continues to play an active role in organizations at Feinberg and beyond. 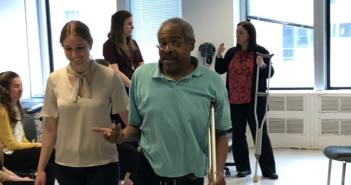 The Department of Physical Therapy and Human Movement Sciences recently hosted faculty members from across the country for an interactive workshop on how to design curricula and create meaningful educational experiences for physical therapy students. High-intensity exercise three times a week is safe for individuals with Parkinson’s disease and can keep symptoms from progressing, according to a phase 2 clinical trial published in JAMA Neurology. Medical, nursing, physician assistant and physical therapy students teamed up during a recent interactive training session. Students, postdoctoral fellows and faculty showcased their work in the field of rehabilitation medicine at Feinberg’s fifth annual Movement and Rehabilitation Sciences (MRS) Training Day. 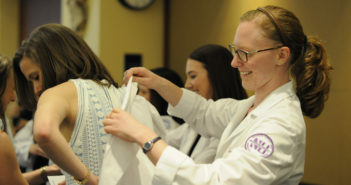 First year students in the Doctor of Physical Therapy program celebrated the transition from the classroom to clinical practice at the program’s 9th Annual Clinical Practice Ceremony. 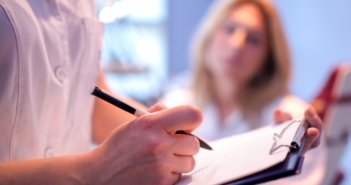 Northwestern Medicine scientists have received a $1.6 million grant from the National Institutes of Health (NIH) to investigate the biological reasons that a quarter of all people with whiplash injury from motor vehicle collisions fail to fully recover in the long-term.